Black Friday Shopping: Free Novels from Shrink Rap! I realized that it's been a long time since I had a free promotion for my novels, and with Black Friday looming, I thought it would be nice to have Shrink Rap jump on the bandwagon with Black Friday shopping you can do from your living room, and with a great price, too: free novels. The promotion goes for 4 days: Now through Monday 11/30/15. If it goes well, I will set up another promotion for one day in December. 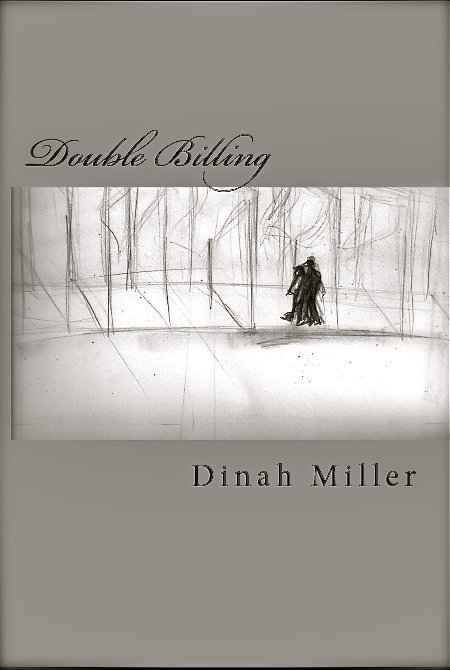 Double Billing is the story of a woman whose life changes when she discovers she has an identical twin she never knew existed. It's a quick read with a little psychiatry sprinkled in. The price for Double Billing, Home Inspection, and a children's novel: Mitch and Wendy, are all $0 and can be downloaded instantly. Both are also available as as paperbacks from Amazon, but not for free. The promotion starts Friday, so it's off to turkey and family for today. Wishing you all a gentle holiday. Have you tried to find a psychiatrist lately? It can be hard. Of course, there are your insurance panels, if the docs listed aren't dead or listed in error and are taking patients. And sometimes, people just get lucky and make a call to happen upon a psychiatrist they like a lot. It can also be a hassle, and to someone who contacted me recently, "If I didn't have an anxiety disorder when I started looking for a psychiatrists, I'd have one now!" I can push an icon on my phone (Open Table) and find out in a matter of minutes exactly which restaurants in Baltimore can take a party of 6 at 7:45 tonight, or another icon (Uber) to get a driver to take me to that dinner me in minutes, but there's not an easy way to figure out who can see a patient quickly -- it's hit or miss and often a matter of luck or who you know, even when there may be doctors with time, or perhaps someone who had a bunch of unexpected cancellations one day. I thought I would try to rectify this situation in Maryland and in less than an hour (~I've had a little practice with these website things), I was able to set up an Access to Care website in Maryland, located at MarylandPsychiatrists.net. Do check it out, and each week, more and more psychiatrists have registered with openings. I'm trying to get the word out that the website exists, so if you're a doctor in Maryland, do let folks know. My co-blogger, ClinkShrink, has very strong opinions on Physician Assisted Suicide. My personal opinions are less strong, though with 40,000 suicides in the US every year, I'm not sure why it's necessary to involve physicians as the agents of death; we went into this field to help people, not to kill them. But I don't believe that every suicide is necessarily either the result of mental illness or a tragedy. We all die, and for myself, if all that remains of my life is suffering, I'd like to go quickly. Clink and I say that she's worried they'll knock her off too soon and I'm worried they'll keep me around too long. But what about psychic suffering, which by anyone's measure, is just as bad, if not worse than physical pain. I've had a patient tell me that his cancer treatments with all their complications, didn't compare to the pain of his depression. And certainly, many people do decide that their psychic pain is unbearable, or believe they've become a burden to others, and so end their own lives. But should doctors have a role in this? Should we kill people because they have treatment-refractory depression? I'm thinking that's not a good idea and please don't show up at my office looking for your lethal prescription. In Belgium, psychic torment is an acceptable reason for euthanasia. And they even have a menu: you can drink a potion, or a doctor will administer a lethal injection. That's right, in the land of beer and chocolate, the doctor will actually murder you in the name of medicine. The YouTube above is haunting. Emily has struggled with depression for a dozen years, and she's been approved for euthanasia. I'm going to tell you that Emily changes her mind at the end because if you don't know that this lovely 24 year old young woman lives, it's unbearable to watch. I find it hard to imagine that there is ever nothing that can be done to alleviate at least some of the pain ...even if it's ECT or ketamine, or TMS, or a few cocktails to temporarily numb the pain (~if you try that one, please don't drive afterwards) and no hope of a new treatment that might make it better. 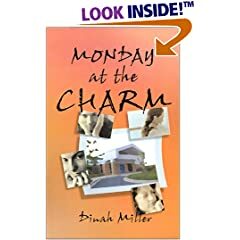 In this case, the events of the two weeks prior to her death date -- time spent meeting with friends to connect and say goodbye, getting ready -- were a period where the pain eased up. Emily felt better knowing there was a way out, she found hope in the prospect of death. Have you ever tried to get a medication preauthorized for your patient, only to be told "no" the insurance company won't pay for your patient to have the medication you say they need? I've been trying to get a medication authorized, and I decided to see this through. In some cases it seems there is no end to the hoops the insurance company can set, and no time frame for when they must answer. Read my account here on the Clinical Psychiatry News website. ~1) Access. Half of all counties in the US don't have a mental health professional (I saw that on Twitter, so it must be.) That's any mental health professional, not just psychiatrists. ~2) Access. If there's somewhere to go there may be many weeks to wait. People don't like to wait and some of those people just won't make appointments far off; some will feel better before they actually get in and won't show up. ~3) Cost. Over half of psychiatrists don't participate with insurance, the upfront cost of care is very expensive, and insurance companies vary in how well they reimburse out-of-network care and won't tell you what they reimburse before you file the claim which they may or may not lose or reject. ~4) Shame or embarrassment, so stigma. ~5) The urgings of others who disapprove of the use of medications, don't believe in psychiatrists, don't want to foot the bill for relatives, don't want to take off work to drive a relative to appointments. 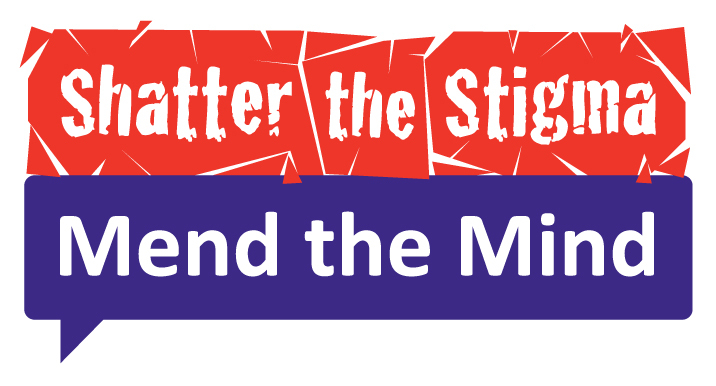 Somehow, we've become a culture that believes that if you say "End Stigma" you're doing something to end stigma. Or that if you come out and announced all the awful things your mental illness has led you to do, that this ends stigma. Bill boards are big. Or that if you're a politician who says "We need to end stigma" while passing stigmatizing laws, that you're ending stigma. 1) When successful celebrities announce that they've struggled with mental illness, particularly if they have not made a spectacle of themselves and if they haven't led chaotic lives. When Andrew Solomon talks about his struggles with depression, as he rakes in his many writing awards and gives his incredible TED talks, that's destigmatizing. Brittany Spears -- not so much. 2) When regular people talk about their struggles with mental illness: especially if they are employed, married, and living productive lives. 3) This won't be popular but: Television commercials for pharmaceutical agents and direct-to-consumer advertising. It's everywhere -- someone must be taking those medications and the ads normalize it. It may be bad for all sorts of other reasons, but in terms of decreasing stigma, they help. 4) Parity for insurance so that mental health treatments aren't different/less than 'real' medical conditions. 1) Anything that alters civil rights based upon the existence of a mental health diagnosis in the absence of a troublesome behavior. So laws that restrict the purchase of guns by people with a mental health diagnosis, even if they've never done anything dangerous or threatening. Or proposed laws that want to say that people with a diagnosis of a psychiatric disorder should be the only people who can't forbid their treatment team from releasing their diagnostic and treatment information to their family/caretaker. 2) Comments about keeping guns out of the hands of crazies. ('nuff said). 3) Linking mental illness with mass murder. I think. I actually have never had a patient who has expressed any sense that being in psychiatric treatment in any way associates them with someone who does heinous things. But it can't be a good association. 4) Fears of being made/coerced into to take medications when you don't want to take them and the concern that one's autonomy and individual decisions won't be respected. Who wants to sign on for that? 5) The side effects of our medicines. There's nothing desirable about being overweight, having metabolic syndrome, being sedated, having a tremor, or having other movement disorders. 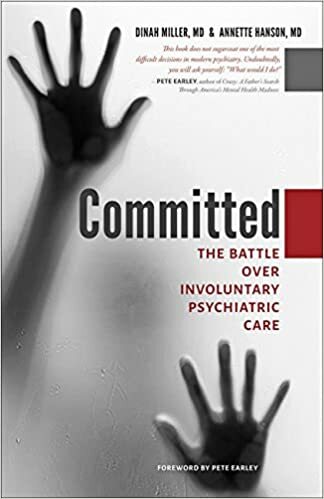 6) The devastation associated with untreated mental illness -- unmet potential, sometimes unemployability, homelessness (or being stuck in a parent's basement), incarceration, poor hygiene, odd behaviors. So what did I miss? I'm skeptical about the idea that Modern Family's Halloween episode with scary 'mental patients.' actually increases stigma -- it's a historical stereotype and it's too outrageous to feel like anything accurate -- but I certainly do understand that this is very offensive (I'm just not sure that all that is offensive is stigmatizing). By all means, feel free to correct me here. And feel free to add to the list.